Northcentral Chapter 8 of the Society for Pennsylvania Archaeology will meet at 7 p.m. Monday, Jan. 11, at the Lycoming County Historical Society, 858 W. Fourth St., Williamsport. Kathleen Eierman, a senior American Archaeology major at Lycoming College will present on Maryland and Pennsylvania Public Archaeology. This will be the second presentation in the Northcentral Archaeology, Chapter 8 lecture series. Families with school-aged children are encouraged to attend. Kathleen attended field school in 2007 at Lycoming College. She has excavated in Muncy for the past three years. She recently interned at the Lost Towns Project in Annapolis, Maryland where she excavated several sites including a colonial Quaker home and prehistoric Algonquin settlements. 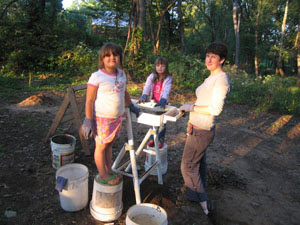 Kathleen has mainly focused her time on public archaeology as well as other areas of archaeology including research. She is also the teaching assistant for the American Archaeology class at Lycoming.